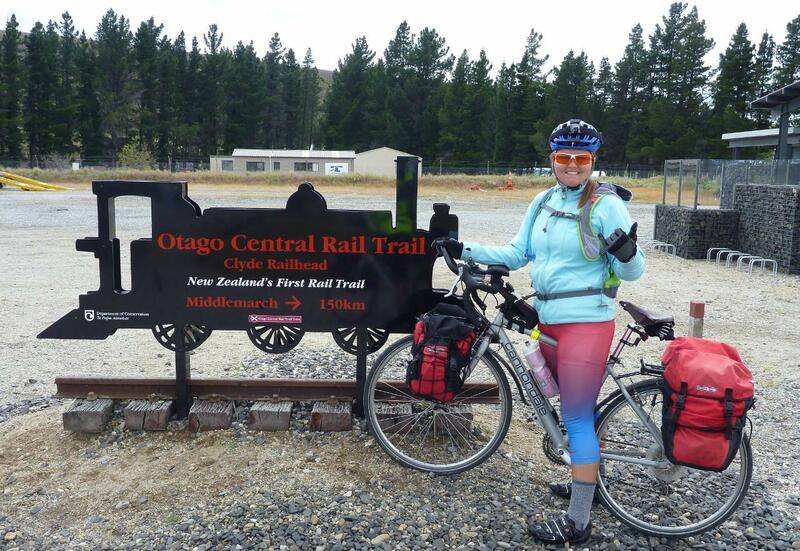 The end of the Otago Rail Trail and near the end of this adventure. A weather front from the Tasman Sea swept through the South Island Saturday so we did not ride as the day started with heavy rain. This system continued throughout the day with the temperature dropping rapidly. The Hotel Omakau was booked for Saturday night so we walked our bike and stuff two doors down to another accommodation. This one was much more modern than the over 100 year old Hotel Omakau. As the rain continued we read, did laundry, and napped. We did see a few brave souls pass by on bicycles to the trail. I’m glad we had the luxury of time. We had already spent one rainy muddy day on the trail and didn’t want another. Sunday morning was clear but very windy and cold. The local hills received a dusting of snow and it was very pretty to ride with this in view. Except for the strong headwinds and cold it was a very pleasant ride. 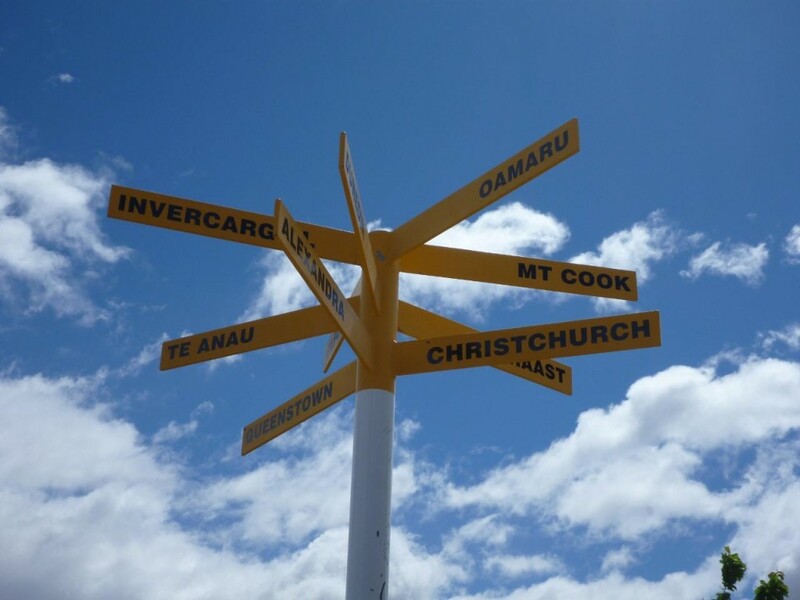 We stopped at the “i Site” (New Zealand’s Visitor Centers) in Alexandra to change our bus reservations to Christchurch. We can’t say enough about these Visitor Information Centers as they are so friendly and offer bookings, maps, publications and a wealth of local knowledge. I had purchased several $9 maps of the South Island but could have gotten by with the free ones. After our brief stop we continued to our end of the trail at the railhead in Clyde. This is the usual beginning of the trail for most riders. In fact we never saw anyone on the trail heading in our direction. 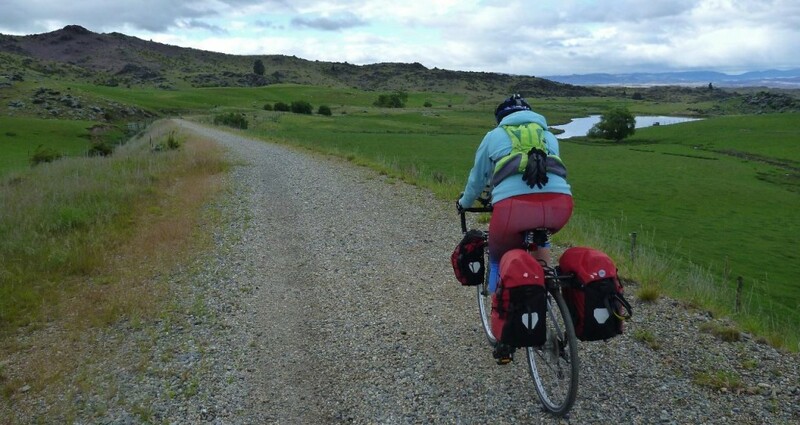 I chose to ride from east to west as we wanted our Christchurch return through the interior past the glacier lakes of Pukaki and Tekapo along with Mt Cook. 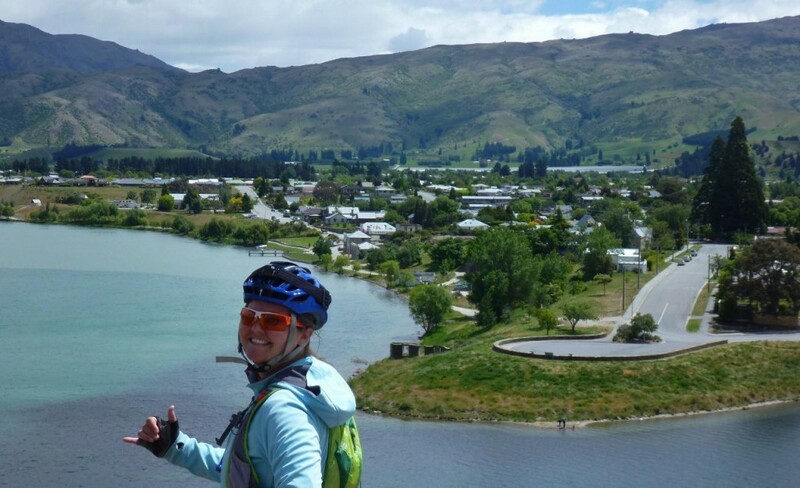 The weather had turned warmer although windier but it was still early so we continued on to our final riding destination of Cromwell. 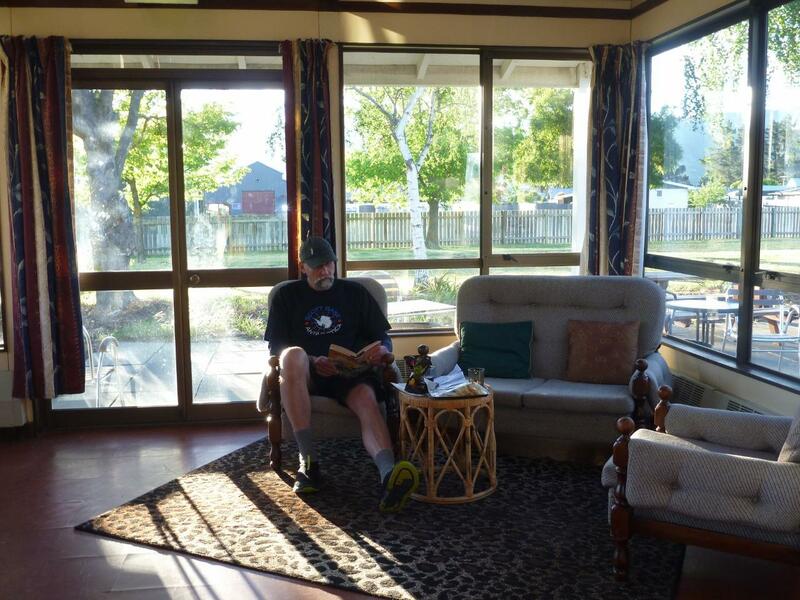 There we found the only backpackers in town – “The Pinot Lodge”. After a few pints at the local pub we shopped at the grocery store, returned to the lodge, cooked dinner then retired early. Today we return to Christchurch, by a 7 hour bus trip, where we will spend a few days before flying to Sydney for a stay at Bondi Beach. We hope the surf is good and the water warmer than New Zealand. We will then return to Florida where I haven’t been since February 8th. 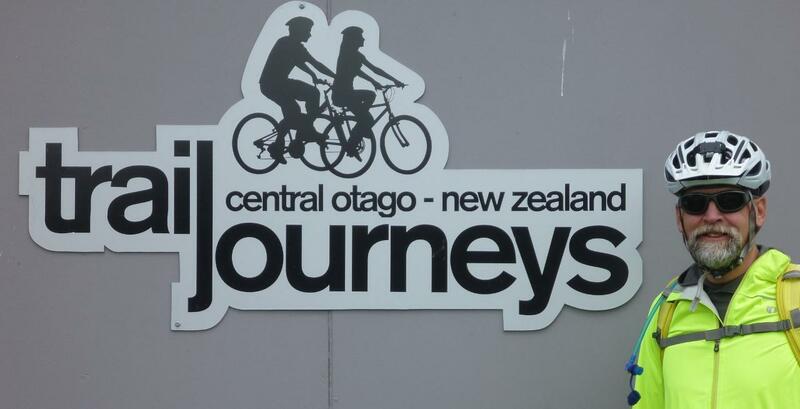 Our last cycle ride will be to navigate through Christchurch tomorrow to Natural High Adventure Cycles and return the bikes. 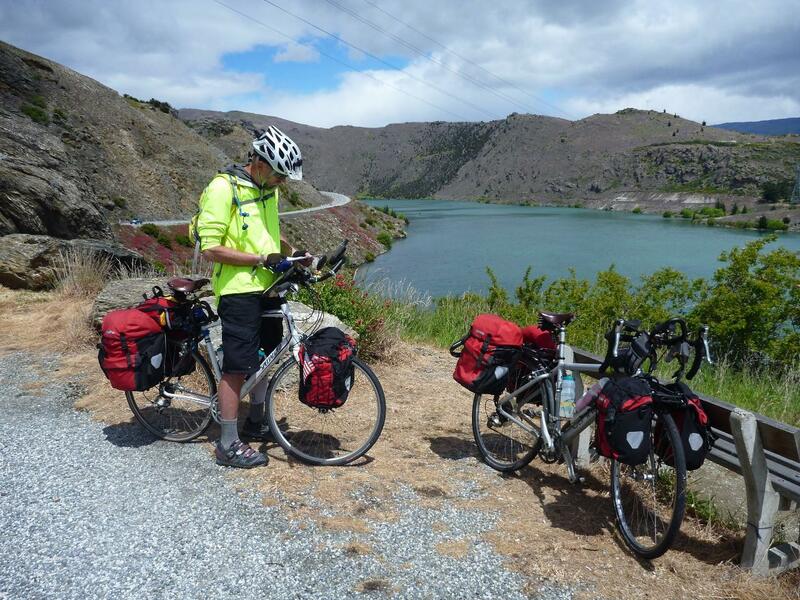 I had hoped our Christchurch return would be up the interior on our cycles but time is short. 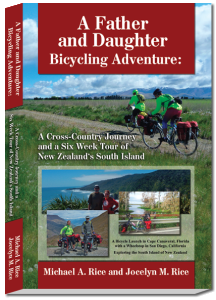 There will be one more post with that ride and some final thoughts about our Father and Daughter Adventure in New Zealand. It’s been awesome. A compiled 5 minute YouTube video of a Milford Sound waterfall, landing at Queenstown airport, take off from Milford Sound airport, and take off from Queenstown airport. A dusting of snow on the local hills. 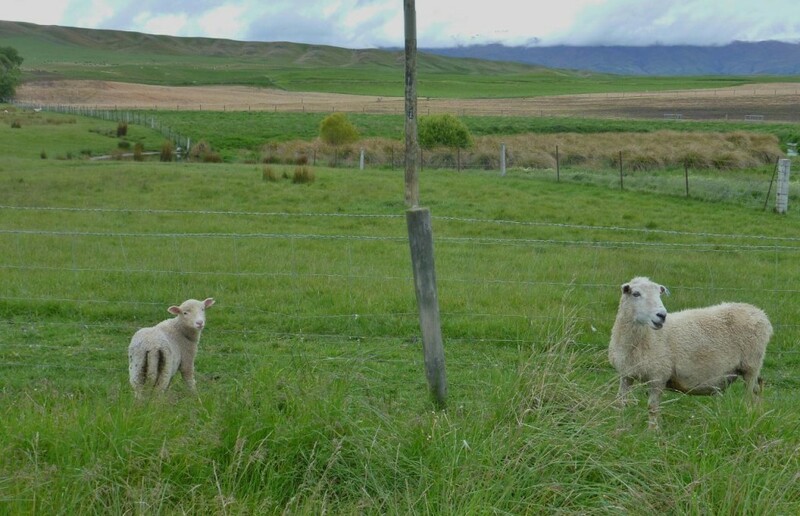 Many sheep “escaped” during the night. These two were trying to get back in. This one is trying to ignore us. Throughout this trail ride I imagined the trains running through the 150 km converted path. We put our climbing legs on one more time. The town of Clyde. 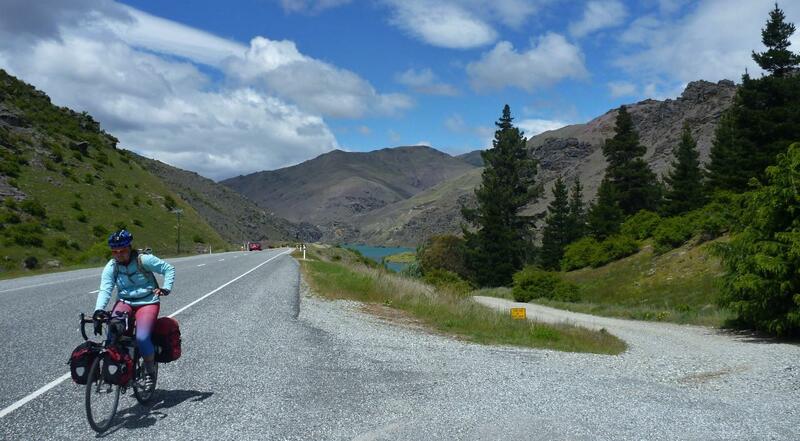 Riding alongside the Cromwell Gorge on a Sunday afternoon. 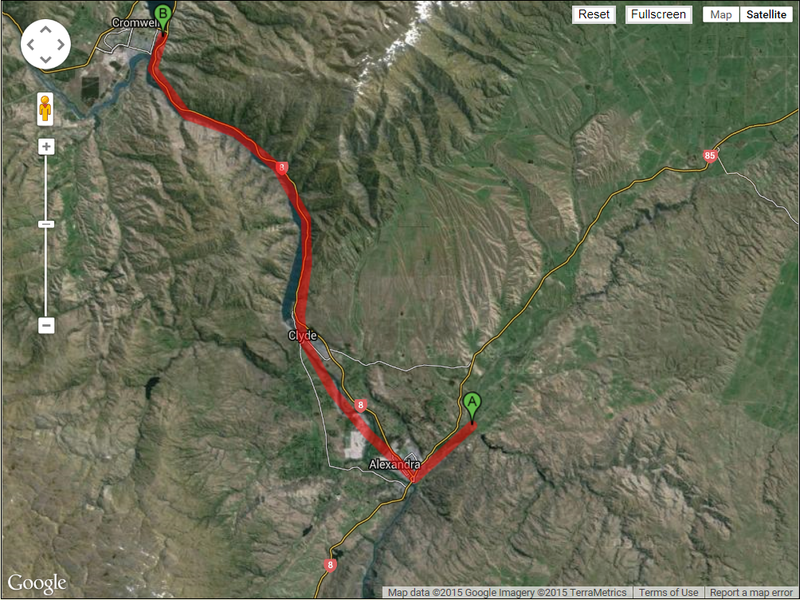 Our destination of Cromwell on Lake Dunstan. Searching for a backpackers. There was one. Staying in a backpackers is like being in a new house every night and very comfortable.